VolFix.Net can help you – prosper, with powerful solutions you can filter and customize to your exact needs. 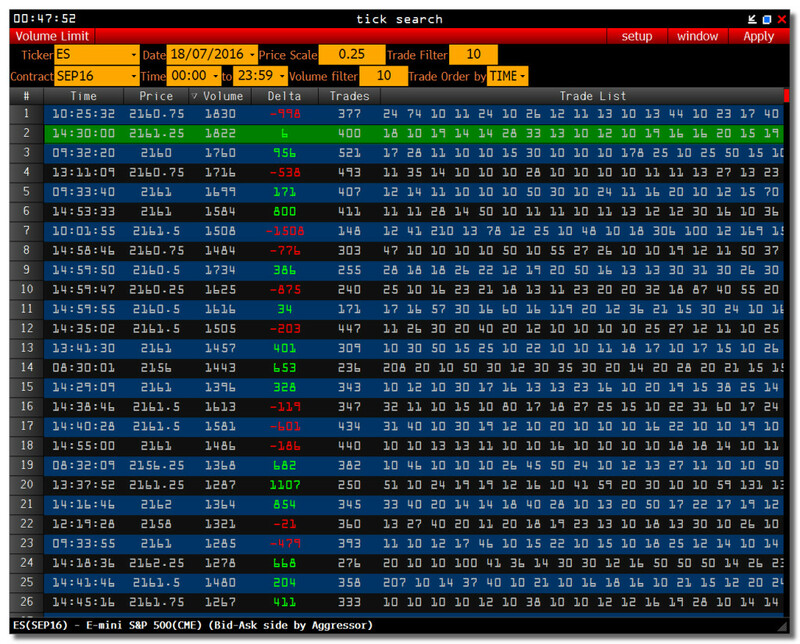 We provide extended historical data for charting and technical analysis. 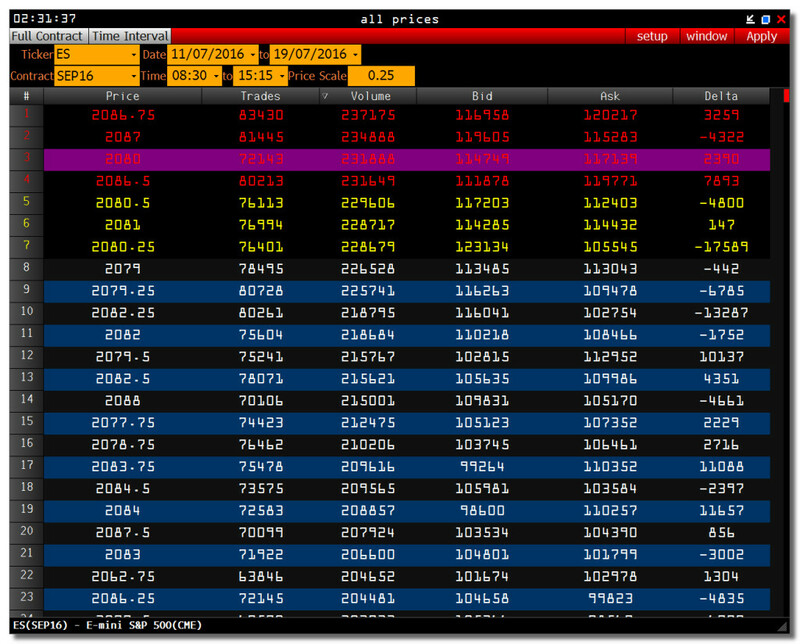 Futures and bond data can be viewed as individual instruments or as long-term or intraday continuation composites. 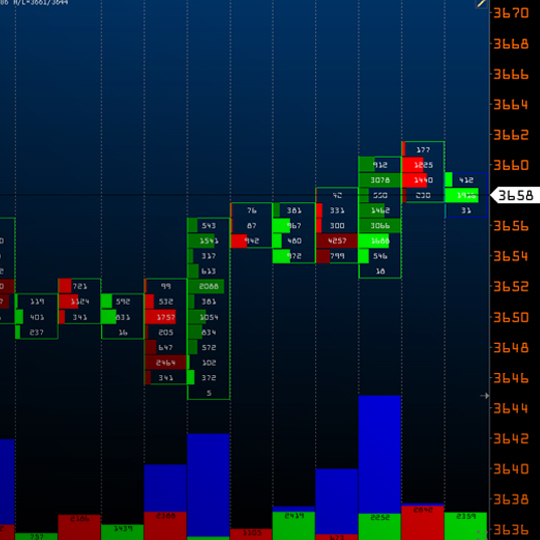 Our powerful charting tools help you quickly grasp and act on large amounts of information. 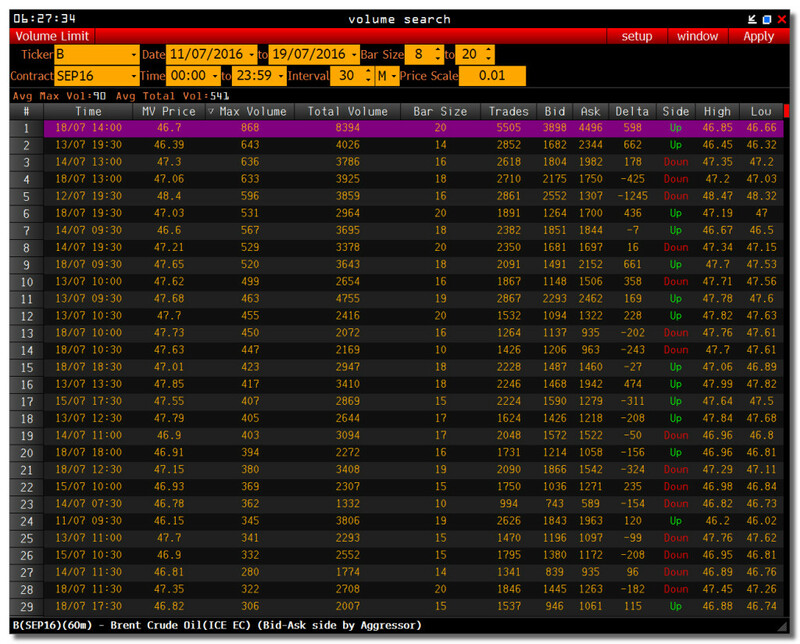 Sending market orders and cancelling all placed pending orders with a single click of the mouse. 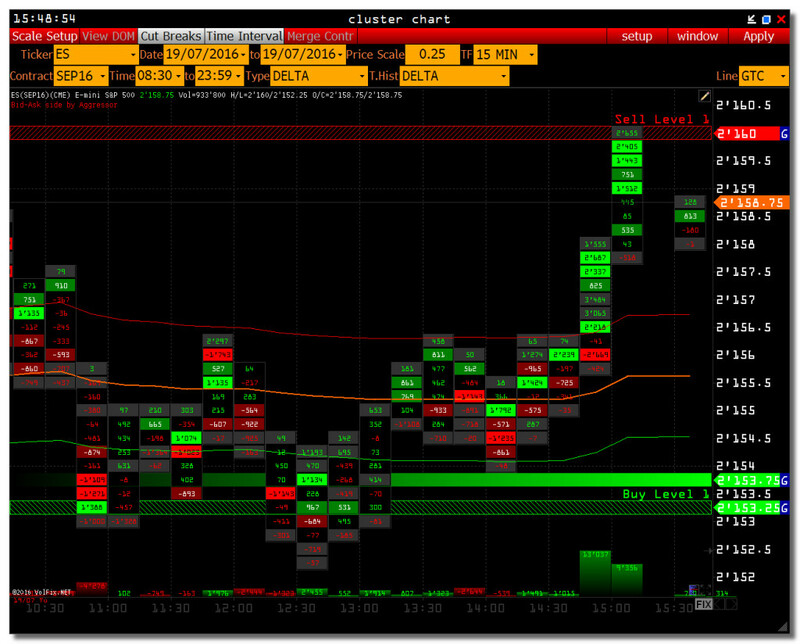 Placing/removing market orders (limit, stop orders) directly on the chart with one or two clicks of the mouse. Placing/removing a group of complex market orders (linking profit and stop orders to placed order) with one or two “clicks” of the mouse. 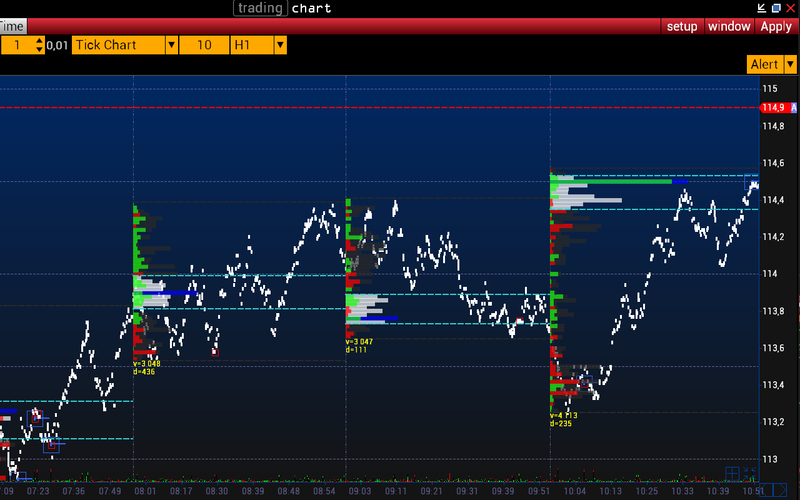 Dynamic interactive Depth of the Market (DOM, order book) on chart. 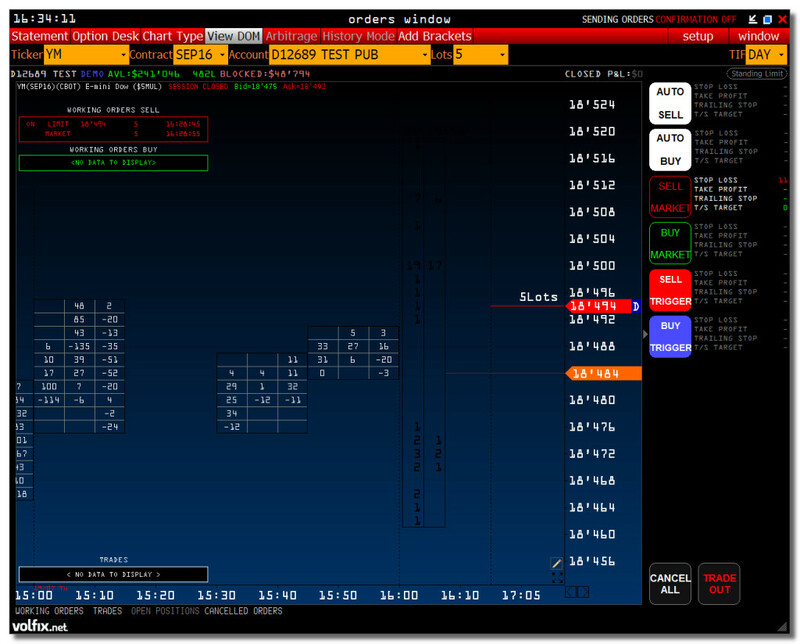 Ability to select type of chart to send orders – Bar Chart, Tick Chart, Box Chart (trading volume visualization in real time mode). Ability to use deal of another player or robot, public rating of players and robots in real-time mode to take your own position. 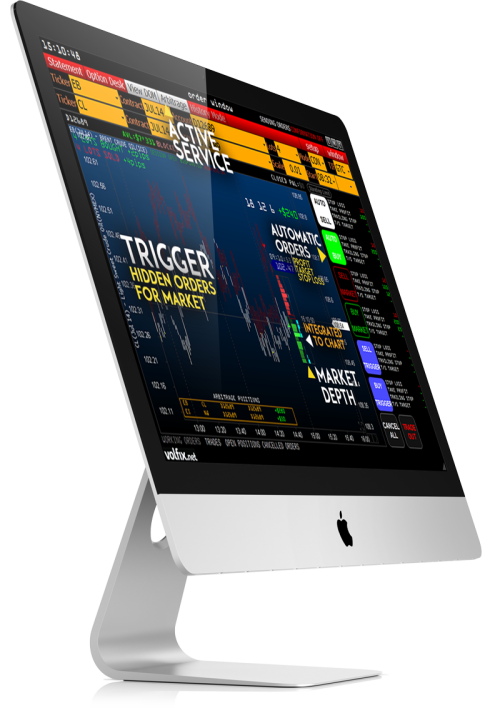 Our trading applications offer features specific to the professional traders’ needs. To make the right choice it is equally important to see the small details and the big picture. This type of service is available only within Volfix.NET platform. Function that complements the capabilities of COMBO BAR module. It visualizes horizontal volume of different time periods with equal length. Capability of autonomous usage in combination with other windows of the platform. Simultaneously it visualizes horizontal volumes of unequal time periods.